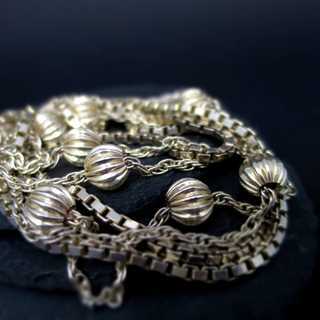 Long double chain necklace in silver. 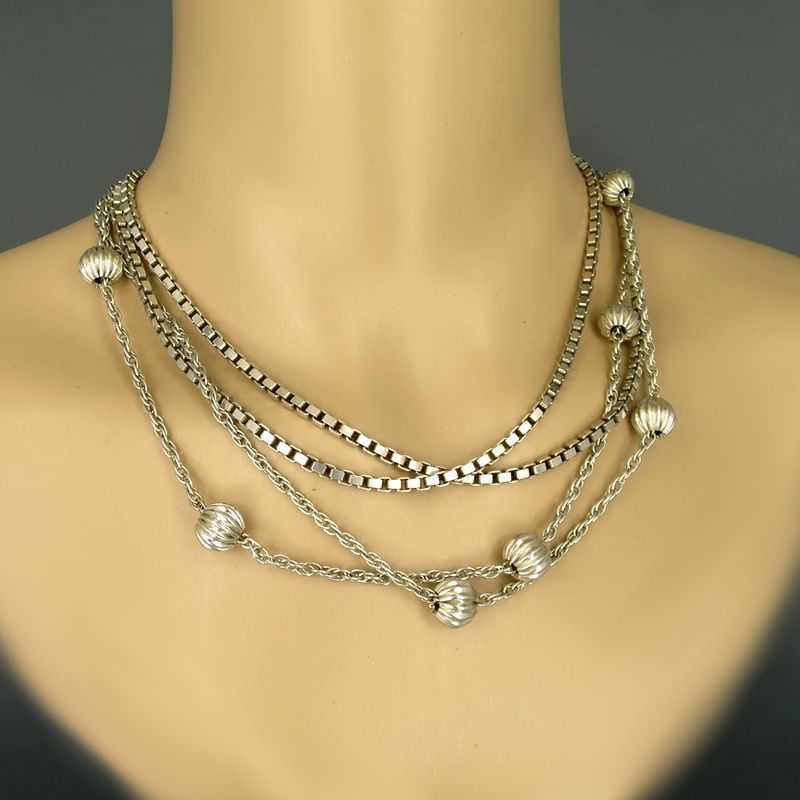 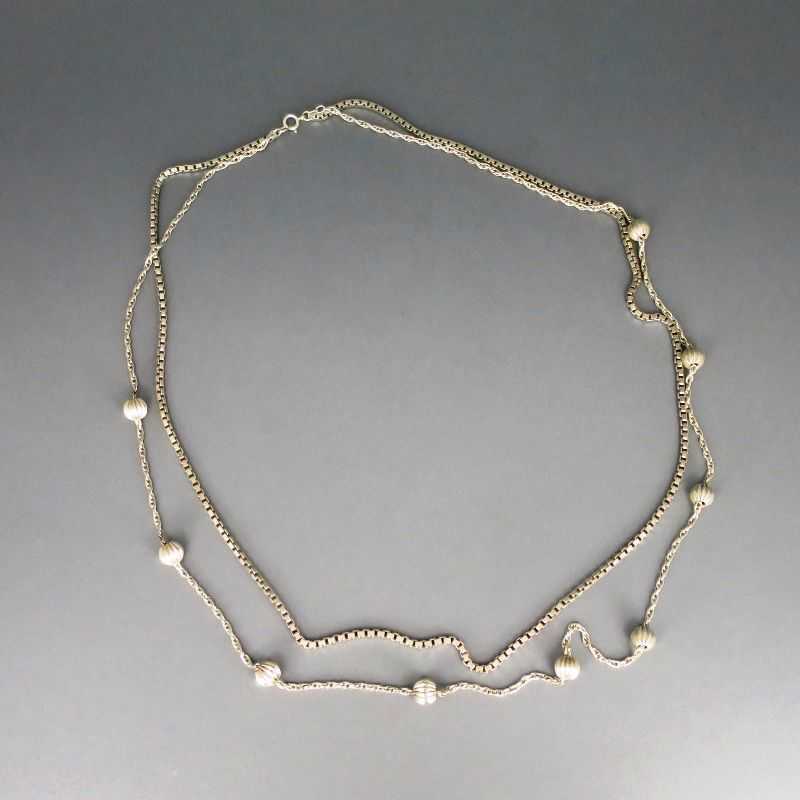 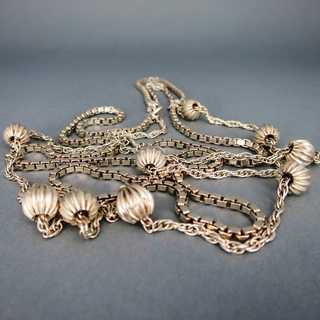 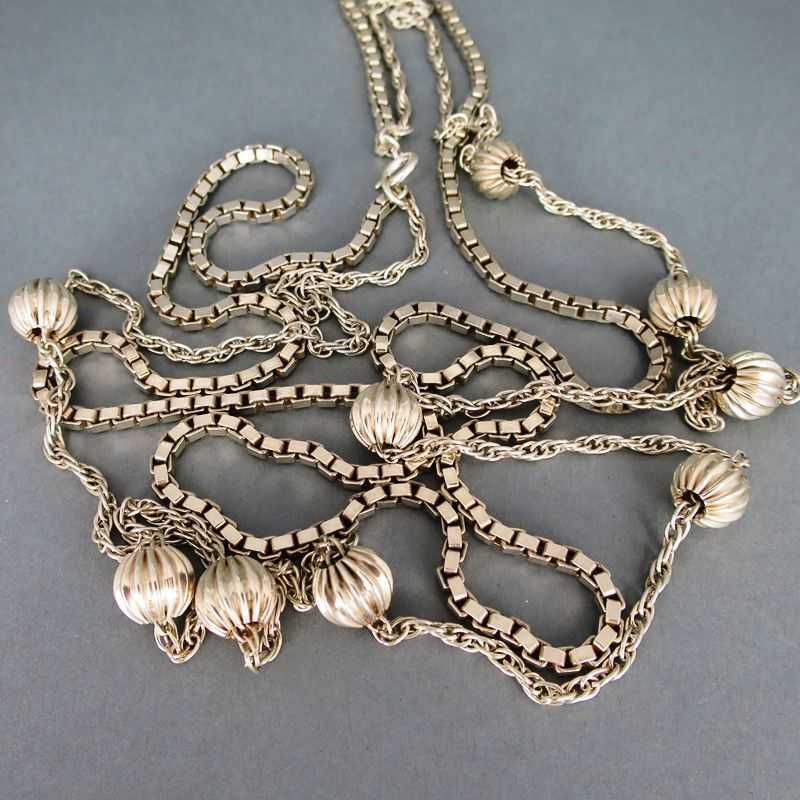 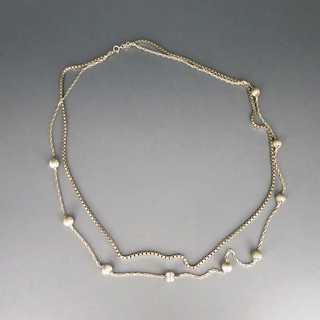 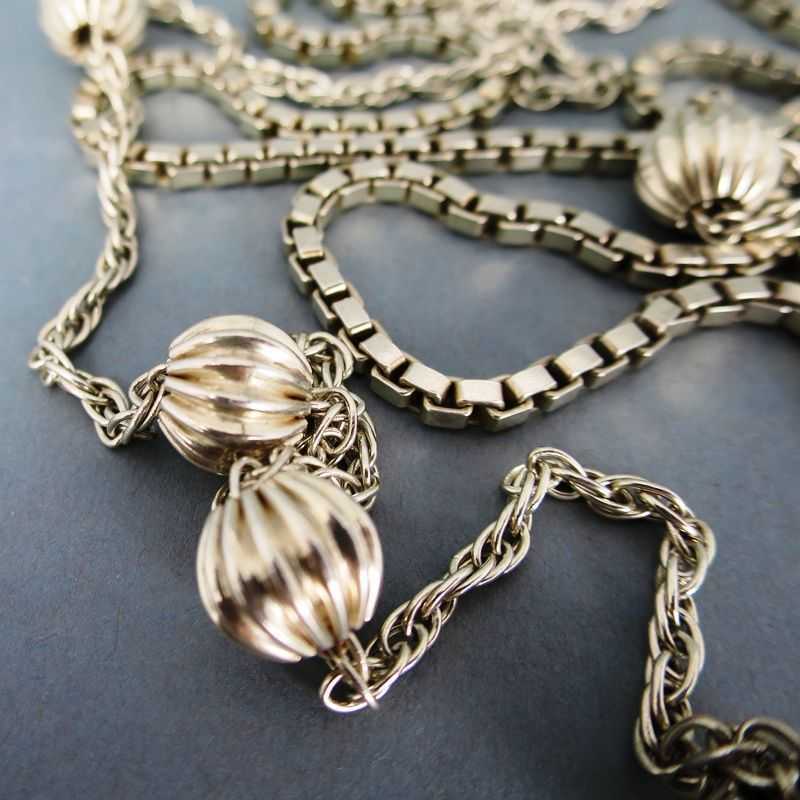 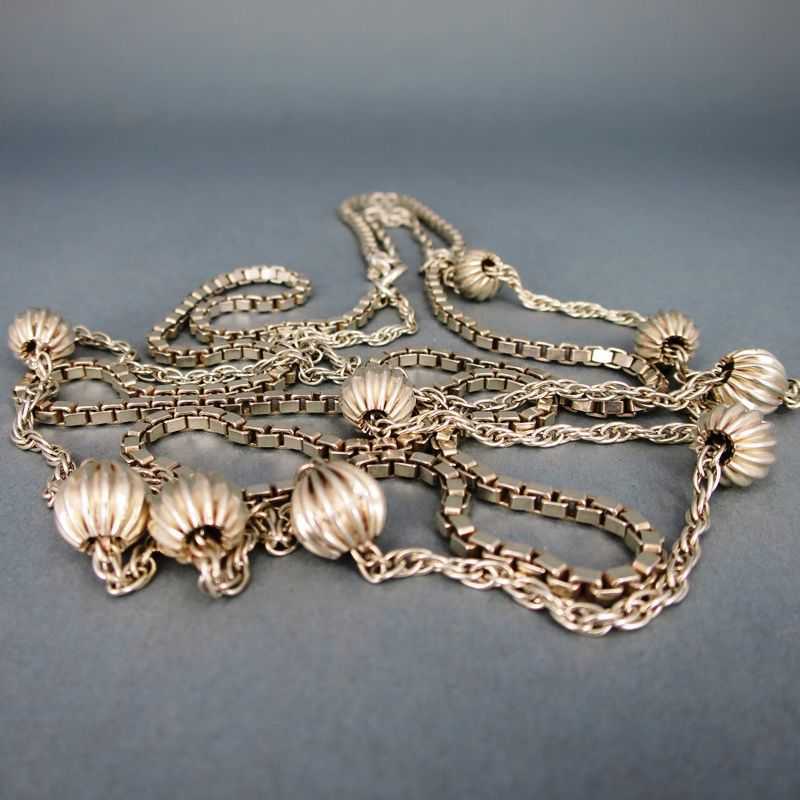 The necklace is composed from a box chain and a second chain, decorated with ribbed spheres. 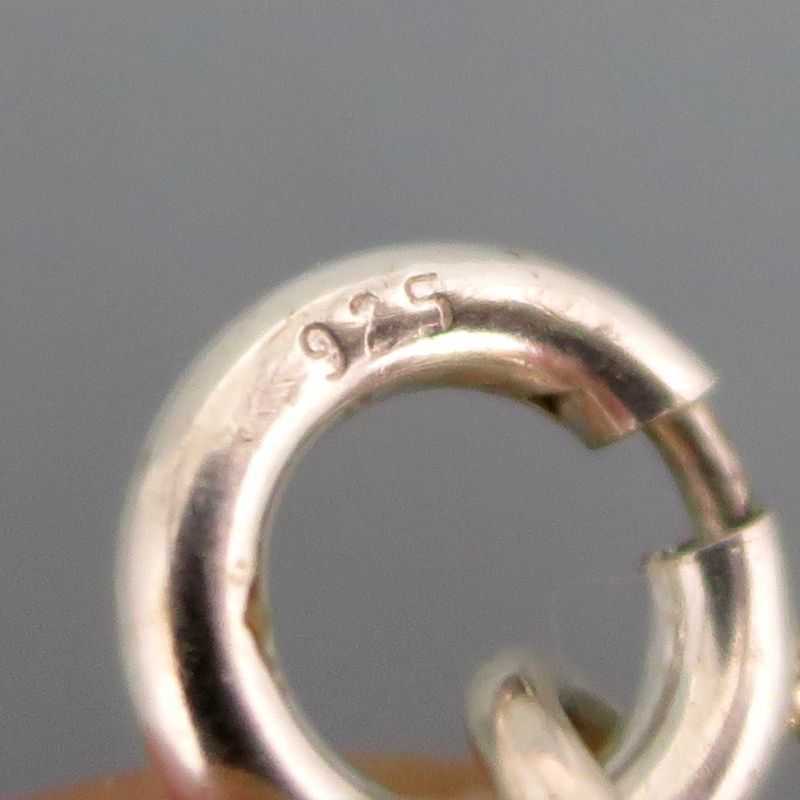 Spring ring closure. 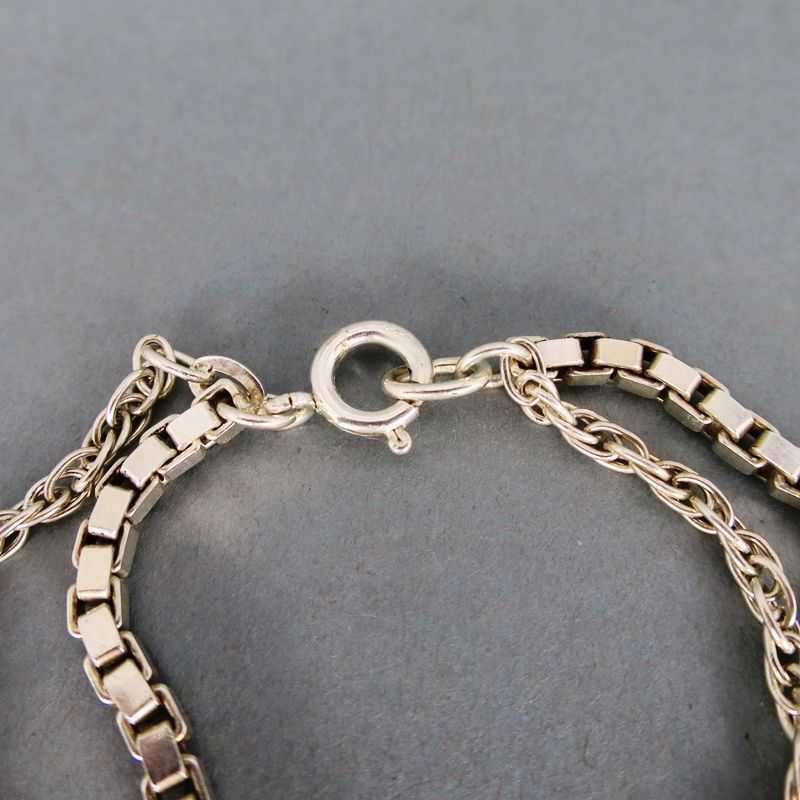 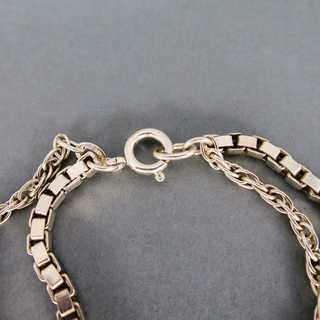 The chain can be worn single or double. 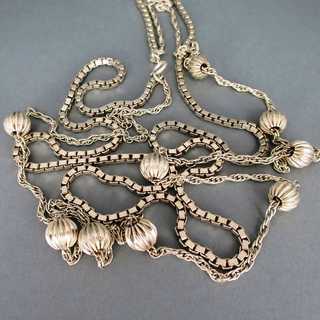 Created in the 1970s.